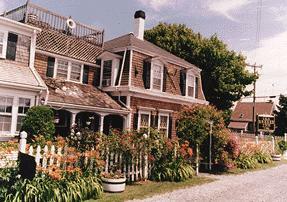 There are over 250 Cape Cod bed and breakfast inns, each offering a slightly different experience for couples. Whether you're looking for the simple charm of a two or three bedroom house or the luxurious splendor of an inn that can house up to 50, you can probably find what you're looking for in our directory. Many people ask us just what is the difference between an Inn and a Bed and Breakfast? The answer lies in the size of the property (a B&B typically has three rooms or less) and the prepared meals (an inn is usually set up to offer dinner as an option - although it's unlikely to be included in the price). 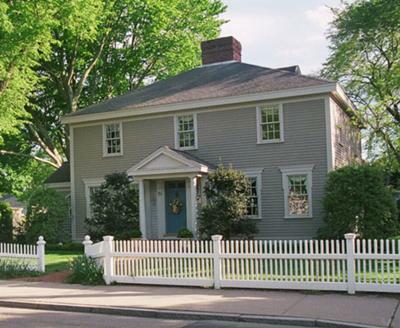 The great thing about staying in Cape Cod inns or bed and breakfasts is that the atmosphere and the ambience of the accommodation is very much a part of the vacation itself. While some couples may come to the Cape and not care too much where they stay, as long as it's clean and convenient for the beaches and attractions, couples who stay in bed and breakfast inns are often looking for something else. 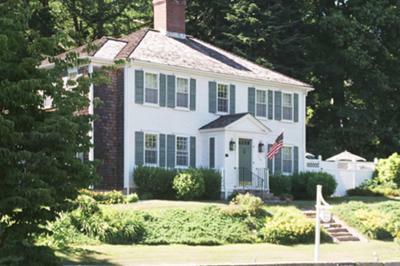 Maybe it's romance, or solitude, or just a chance to relax in a home-like setting, but Cape Cod bed and breakfasts and inns tend to attract a different type of clientele. Many hosts discourage families with young children from visiting, which makes them a little quieter and more peaceful for couples. Your host at a Cape Cod bed and breakfast is likely to know the area very well, having probably lived on-Cape for many years. That makes them an excellent resource for local attractions that might go beyond the typical tourist traps. Fellow guests, too, will often have stayed there several times before and can steer you to places that the typical tour books won't necessarily point out. So take a look at our directory and see what you can find. We've included basic information, a brief description, a photo where possible, and a link to the property's website. On each property's page, there is also an invitation for guests to review their stay and rate their visit. The Belfry Inn is really three B&Bs in one - the Abbey, a former church, The Painted Lady, the former rectory, and the Village House a federal style home. 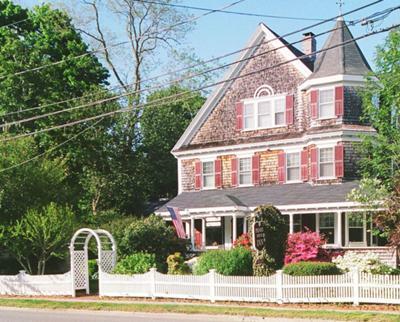 The Dan'l Webster Inn is Sandwich's largest bed and Breakfast and has offered Cape Cod lodging in the center of town for over 300 years. The 1750 Inn at Sandwich Center is perfectly located right in the center of town, just across the street from the Sandwich Glass Museum. 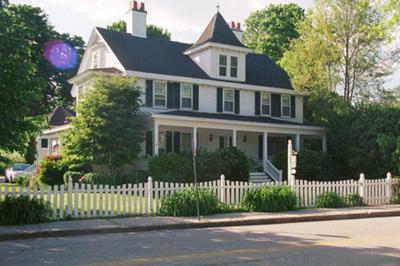 The Palmer House Inn is a Queen Annestyle Victorian home located just off the main village green in the center of Falmouth. Built in 1901, the inn is immaculately kept, beautifully decorated and perfectly located for all of Falmouth's shops and restaurants. The Village Green Inn, as the name would suggest, sits right on the corner of the village green and, therefore, provides the perfect location all od Falmouth's many shops and restaurants. 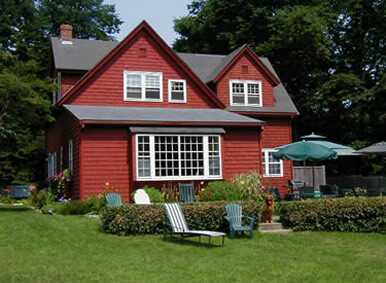 The Woods Hole Passage is a cozy Cape Cod Bed and Breakfast with five rooms and 2 acres of beautiful grounds that offers a relaxing year-round retreat for visiting couples. 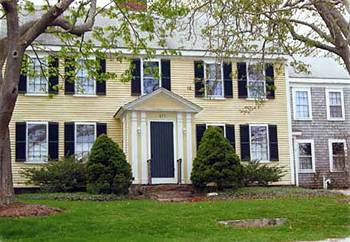 The Josiah Sampson House is located in the village of Cotuit (Barnstable) and offers six spacious and comfortable guest rooms. One of the oldest properties in West Barnstable, the Bursley Manor was built in 1670 and once served as the center of operations for a dairy farm. 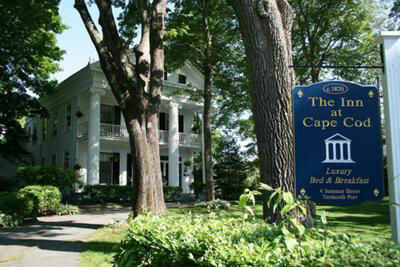 Located just outside the quaint village of Barnstable, the High Pointe Inn offers visiting couples the Cape Cod bed and breakfast experiece in a setting that's like a more relaxing, carefree version of home. 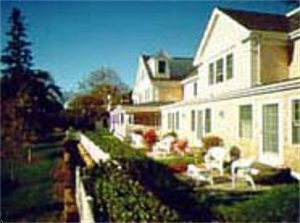 The Sea Breeze Inn in Hyannis is very close to the Hyannisport Harbor as well as one of the Cape's most beautiful beaches. The uniquely decorated guestrooms all have modern amenities, air-conditioning and en suite bathrooms. The Lamb and Lion Inn is located on Route 6a just ten minutes from Hyannis, two minutes from Barnstable Village and a short walk from the beach. The whale watching boats of Barnstable Harbor are also just a few minutes away. 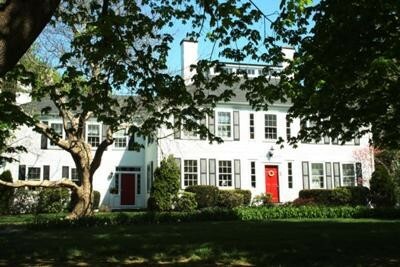 Built in 1820, this exquisite bed and breakfast inn is perfectly located for exploring Cape Cod, Martha's Vineyard & Nantucket. 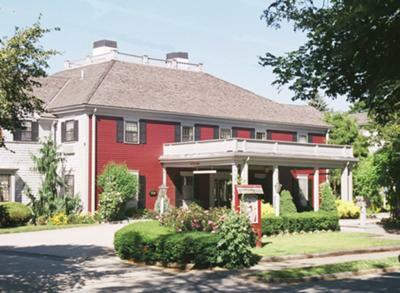 The inn is within easy reach of Boston, New York and Providence R.I. 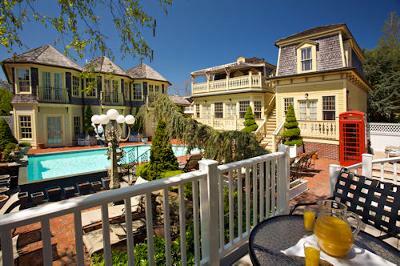 This award-winning, romantic Bed and Breakfast offers all the charms of Cape Cod with a distinct European flavor. 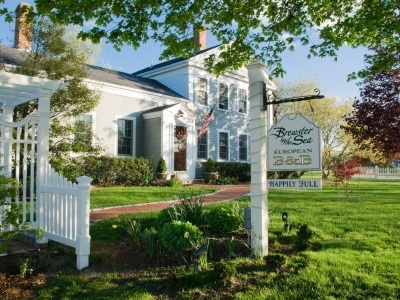 That is because innkeepers Donna and Byron Cain traveled throughout Europe in their previous careers prior to purchasing what was then the Brewster Farmhouse Inn back in 2003. The Chatham Wayside Inn is set right in the heart of one of Cape Cod's most charming and exclusive towns, with all of Chatham's many year-round activities taking place right on it's doorstep. 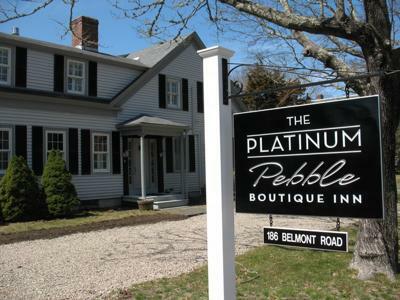 The Platinum Pebble Inn Boutique is a luxury Cape Cod Inn located in the quaint harbor village of Harwich. This exquisite Cape Cod Bed and Breakfast has a swimming pool and is only a short stroll from the sandy beaches of Nantucket Sound. 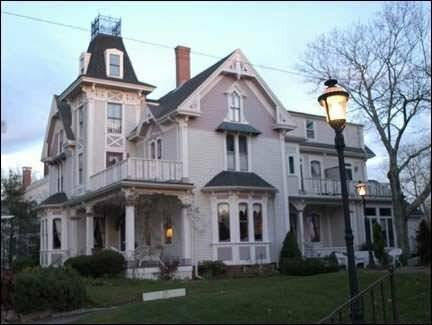 The White Wind Inn is a stately Victorian mansion that has been owned by Michael Valenti and Rob Tosner since 1998. It was built by a prosperous shipbuilder in 1854 and now offers 12 beautiful and unique rooms, all furnished with beautiful antiques, and each featuring a private bath. 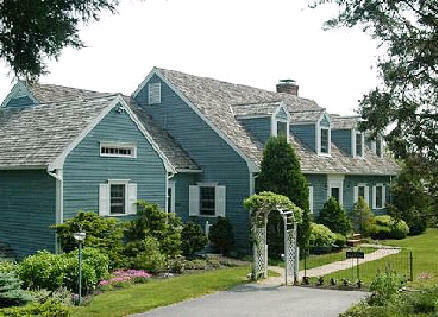 Innkeepers, if you have a Cape Cod Bed and Breakfast you would like us to include, you can have it listed here by filling out our submission form. If you can send us a photo or two, as well, and a brief description of your property, we'll get you listed right away. Visitors can also submit a bed and breakfast review of any property they have stayed at as a guide to other couples who may be making their own future travel plans. I promise to use it only to send you the Cape Cod Lovers ezine. 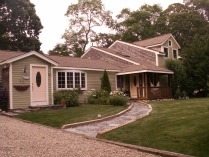 Copyright© 2007-2012 Cape Cod For Couples. Please do not reproduce these articles without permission.